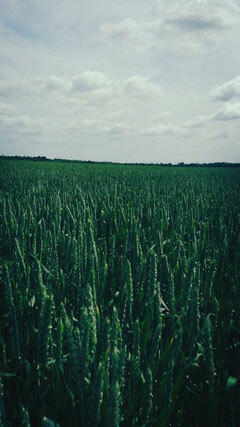 The United States is one of the leading producers of wheat in the world, alongside China, Europe, and India. This cereal plant is essential to producing many of the foods we eat daily. Due to global and domestic demand, our farm has been able to grow wheat with success for many years now. Our farm plants wheat in the fall and it is harvested in June. We often use wheat as a cover crop for the future harvest of crops on that soil. Corey Farms enjoys providing wheat to our vendors that will be used in beneficial ways for our society.